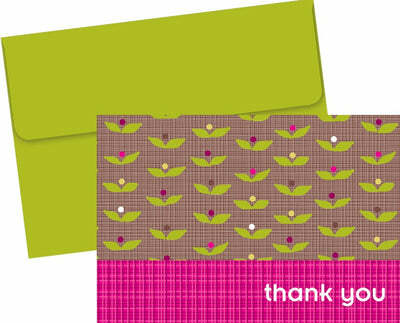 Organic Citrus Garden Thank You Note Cards & Envelopes make it easy to create professional looking thank you cards right from your home! These note cards measure 3.375" x 4.875" and are made from a 65lb Cover stock. Inkjet & Laser printer compatible. Acid & Lignen free. These cards are die cut for added effect!